A serious director and producer now, and no longer the star of Gigli, Ben Affleck's recent projects have revolved around current events. The actor and director most recently directed the Oscar-winning Argo about the Iranian hostage crisis, and now Affleck's latest film focuses on the FIFA scandal. He will produce a film about the American side of the scandal, focusing in on the character of Chuck Blazer, the American soccer executive. Gavin O'Connor, who directed Warrior, is set to direct, while Guymon Casady and Darin Friedman will produce alongside Affleck. The film is based on Houses of Deceit by Buzzfeed's Ken Bensinger, a nonfiction book about Blazer's role in the FIFA scandal. 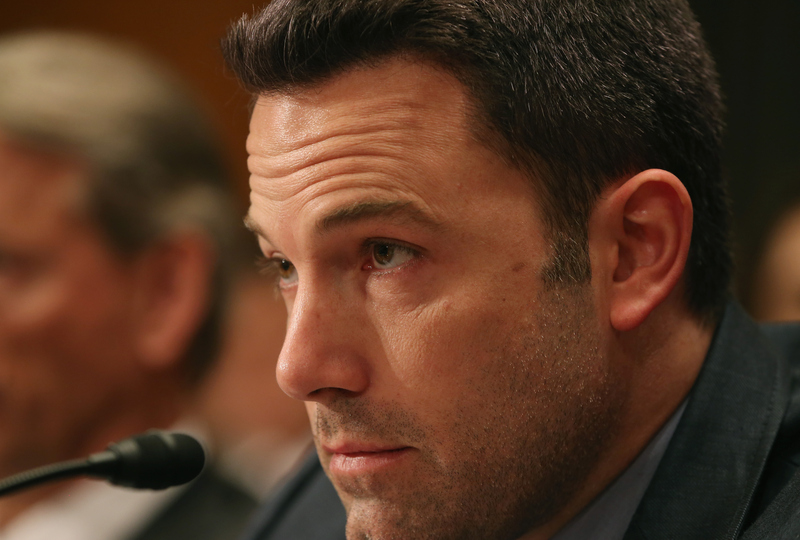 But, wait, which FIFA scandal is Affleck's film about exactly? While you might have recently heard more about FIFA president Sepp Blatter in the news, you might be a little less familiar with Blazer's role in the scandal. Blazer, a member of the FIFA Executive Committee from from 1996 to April 2013 served as the Executive Vice President of the United States Soccer Federation. He's considered partially responsible for the difficult task of making soccer a big deal in the United States. He was also known as "Mr. Ten Percent" for his keen, but ethically dubious, business sense, one that left him with a large amount of money. Serious accusations were leveled at Blazer in 2011 for accepting bribes, and, in 2013, Blazer was accused of fraud. He had received millions of dollars while working with FIFA without a written contract. He had also participated in extensive tax evasion. With this discovered, Blazer was compelled to work as an informant on FIFA for the FBI and IRS. His help led to the arrests of several FIFA officials, and Blazer himself plead guilty for racketeering, fraud, tax evasion and money laundering. He also admitted to accepting extensive bribes in connection with the 1998 and 2010 World Cups. It sounds like pretty great fodder for a Ben Affleck movie, with Blazer as a compelling lead. Everyone loves a good scandal, especially a scandal centered around the world's favorite sport, and Affleck has more than proven himself capable of taking a meaty subject and turning it into cinematic gold.